It's hard to believe we are almost halfway through this school year. The students and staff have been working hard together to discover, learn, and grow. It's very exciting to watch their joy and confidence grow as they master new skills, overcome obstacles, and cultivate friendships. As we strive to keep everything in balance, that includes getting outside for fresh air and play, even during winter weather. Please remember that we do go out to recess whenever we can. The rule of thumb is if it is over 20 degrees with the wind chill, we will be outside. Students need to dress appropriately. It is helpful if you label your students' winter gear. It is unbelievable the number of misplaced items that we place in lost and found each day. As the hustle and bustle of the season is about to sweep us up in its momentum, I want to take a moment to tell you how grateful I am to work with your children and how much joy they bring me. Their smiles, their enthusiasm, and their kindness fill Harman with a spirit that makes each day special. I wish all of our Harman families a holiday season of love, joy, and special memories with loved ones. Happy Holidays! 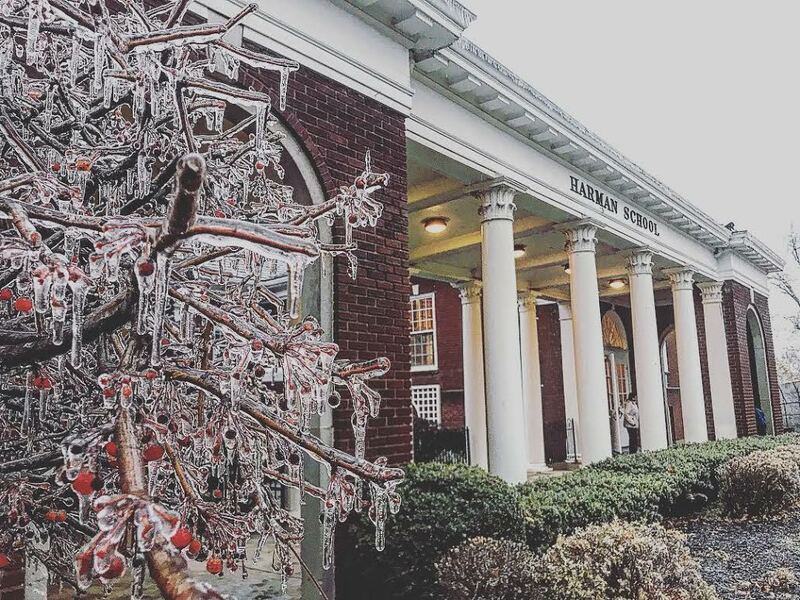 We are always grateful for the generosity our Harman families show for those in need as we model the spirit of giving for our students during the holiday season. There's still time to donate a $15-20 new toy for a child at Ruskin School in Dayton. These unwrapped donations will be picked up on Wednesday, December 12. 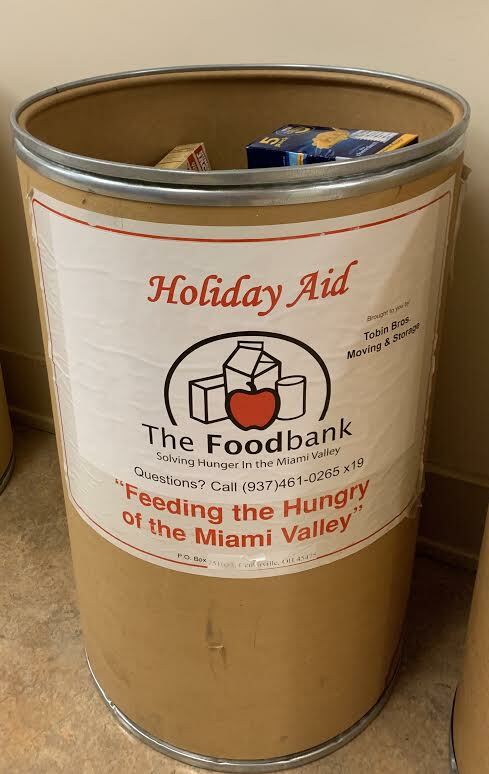 We will also continue to collect canned and non-perishable food items as well as hats and mittens for those in need in the Miami Valley through Friday, December 14. Thank you for your support! With the arrival of colder temperatures, more families are driving to and from school. Please make sure sure you are familiar with these laws and procedures that have been established for student safety. Please share them with grandparents, teenage siblings and other childcare providers who may be transporting your children. There is NO eastbound traffic (coming up the hill from Oakwood Ave.) on Dixon Avenue during drop-off and pick-up, 8:00-8:30 and 2:45-3:25. There is a barricade at the intersection of Dixon and Oakwood. There are NO TURNS (left or right) from Harman Avenue onto Dixon Avenue as you drive up the hill from Far Hills from 8:00-8:30 or 3:00-3:30. 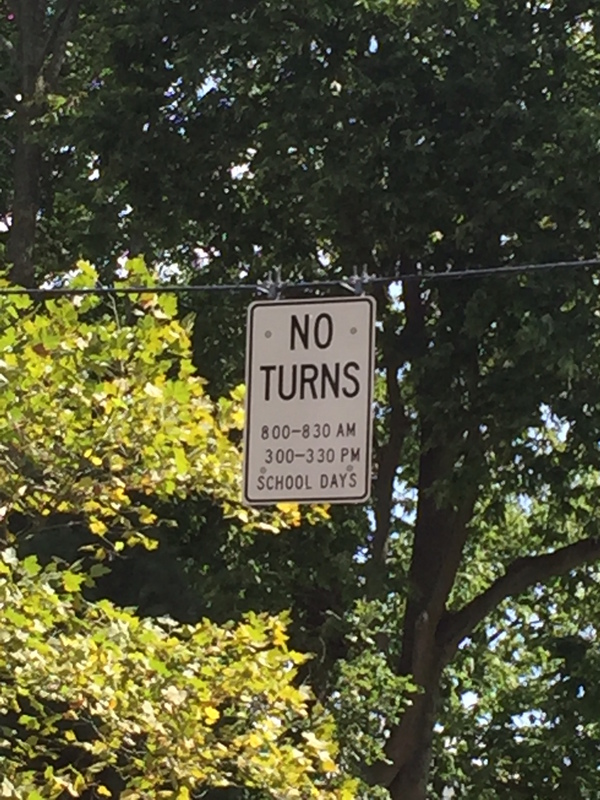 Parking is NOT permitted along Harman and Dixon Avenue on the school side of the streets. Parents must remain in their cars during drop-off and pick-up. If your child is not ready to exit independently or come to your car to find you, please park in a parking space or in a municipal lot and walk to a designated meeting space. Parents must pull all the way up on Harman and Dixon Avenue when dropping off and picking up students. This process can take a few extra minutes with the increased traffic, so it may benefit you to leave a little earlier. We have had MANY tardies recently, which is a tough way to start the day. Thank you for your cooperation in keeping our students safe! Oakwood Schools uses the One Call Now messaging system to send voice messages to our families. By default, the "Home" number of the person listed as the student's primary contact is automatically entered into the One Call Now system. If you would like to add additional numbers, go to www.oakwoodschools.org/resources/voice-notifications. In our continuing efforts to reach all of our community members, we have a new Youtube channel. Organized by buildings and different projects, you can see a glimpse of the exciting activities going on around the district. 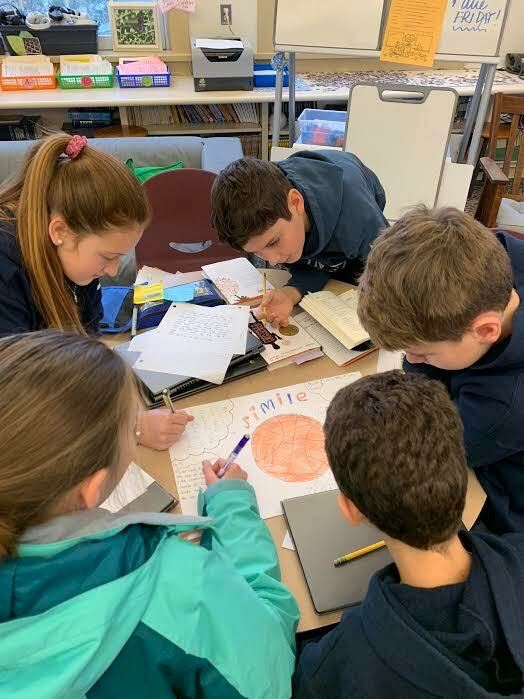 Sixth Graders are participating in Book Clubs this quarter! Each student had a choice of four different titles to read, explore, and discuss. Students annotate using the Notice and Note Signposts, and then work through various activities in Google Classroom. Meetings are held once a week and give learners a chance to discuss their reading with their peers and work on team challenges. 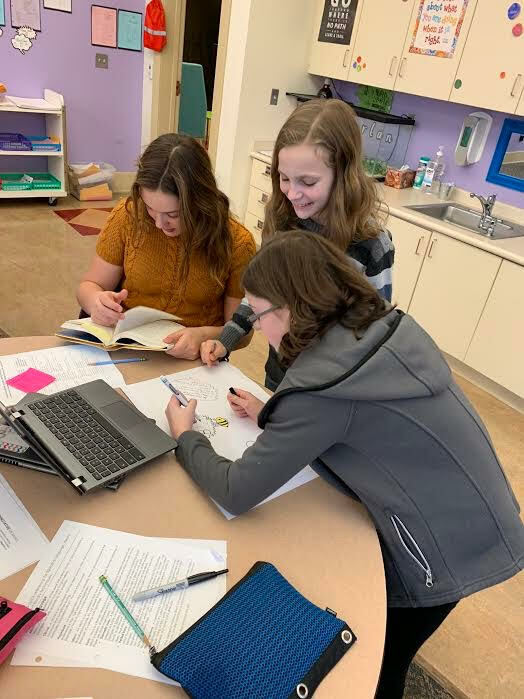 The Book Club experience allows students to think critically, write for a variety of purposes, collaborate with others, and enjoy some fantastic literature! Have you noticed your child writing comments and symbols in their assigned reading? Do you see stars, questions marks, exclamation points, and checkmarks all over the page? If so, praise them for taking the time to stop and think about what they are reading. Text annotation is a close reading strategy in which students actively interact with the text. How is Annotating the Text Used by Teachers? and other higher-level thinking strategies. If it is an article, teachers may write directly within the margins. How is Annotating the Text Used by Students? Thank you to Amanda Wyatt, Kelly Hick and all of our volunteers who brought COSI to us! The students had a wonderful time learning and exploring. Thank you to Laura Woeste and the countless volunteers who made Trivia Night such a success! Your generosity will support many new opportunities for our students this year and in the future. Thank you to Allie Zelik, Sarah Morgan, Alicia Dunlap and the many families who donated and served at our Veterans Day breakfast. We are grateful for the opportunity to honor and serve those in our community who have served in the military for all of us. Thank you to Tara Nabholz, Laura Woeste and the first and second grade families for the delicious feast for the staff. We are grateful for your kindness during such a busy time for everyone!